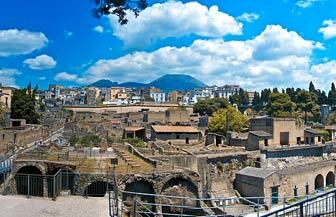 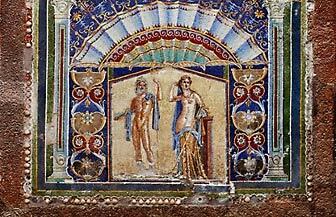 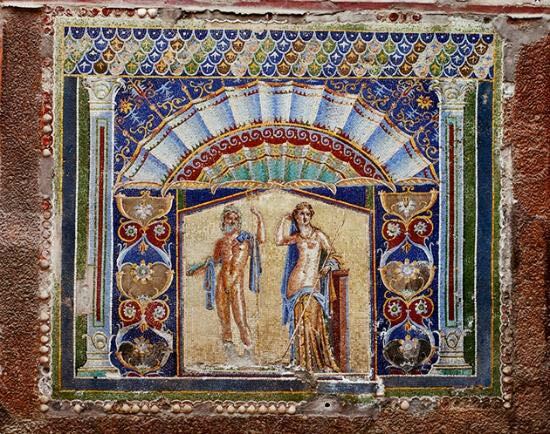 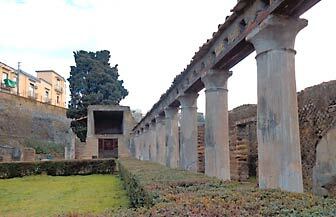 Herculaneum was destroyed by the eruption of Vesuvius on August 2, 79 AD and sits on the western hem of the volcano. 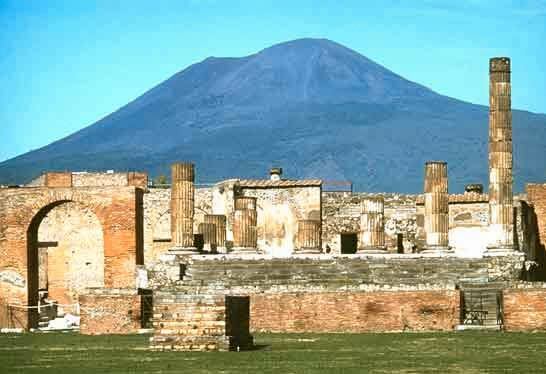 On a full day's outing it can be combined with an ascent to the summit. 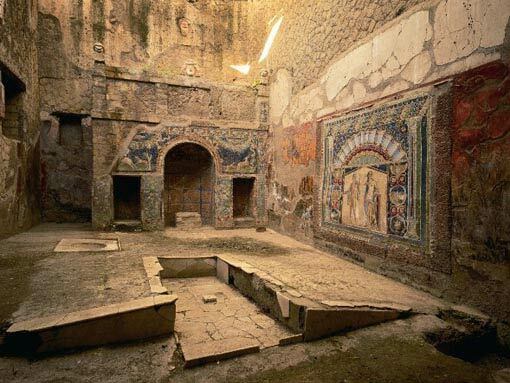 Unlike Pompeii, an important commercial centre, Herculaneum seems to have been a wealthy residential town only about one-third the size, and as such it makes a more manageable site, less architecturally impressive but better preserved and more easily taken in on a single visit. 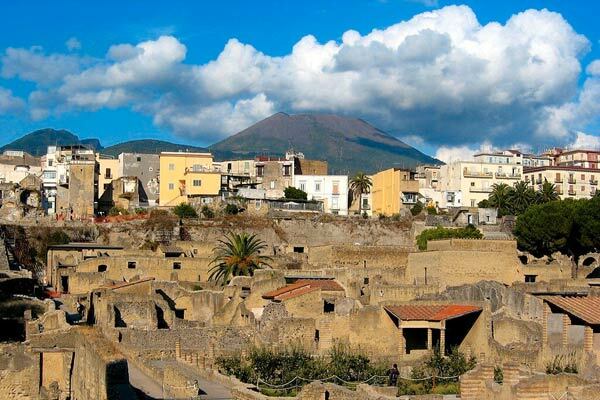 Because Herculaneum wasn't a commercial town, there was no central open space or forum, just streets of villas and shops, cut as usual by two very straight main streets that cross in the centre. 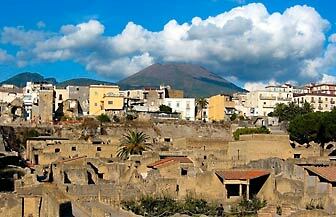 Vesuvius destroyed the two ancient towns in different ways. 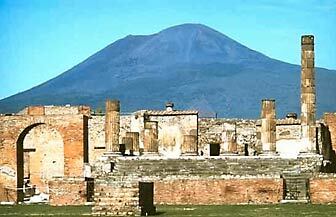 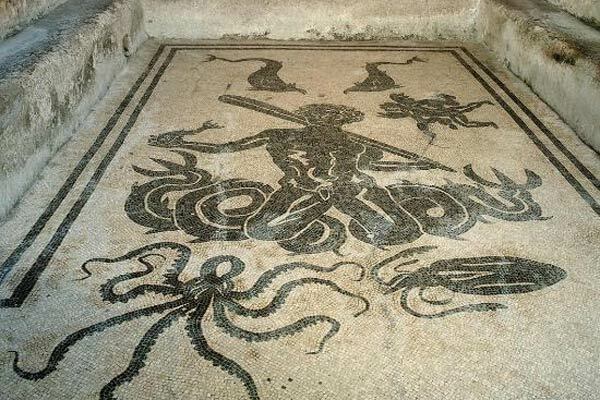 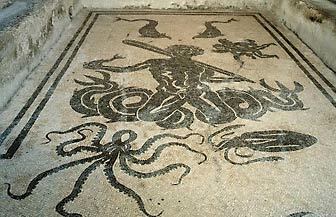 Pompeii was buried under layers of ash, while Herculaneum, much closer to the volcano, drowned under a sea of mud. 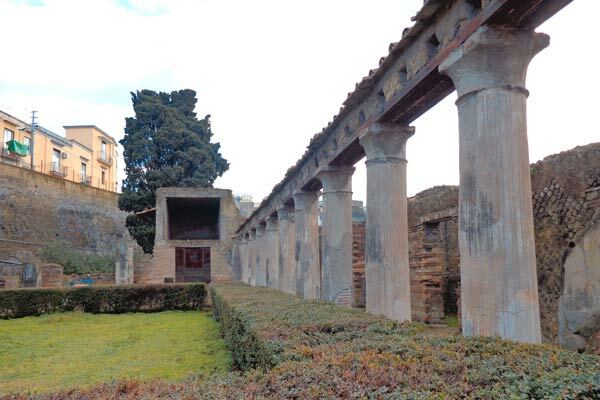 Over time the mud hardened to a soft stone, preserving the city and nearly everything in it as a sort of fossil, so that the furniture, clothing and even some of the goods in the shops have survived. 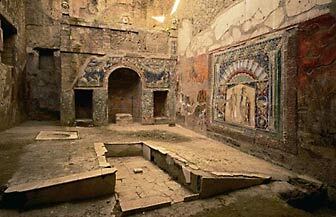 Most of the treasures found are in the National Archaeological Museum in Naples.